Thanks for participating! 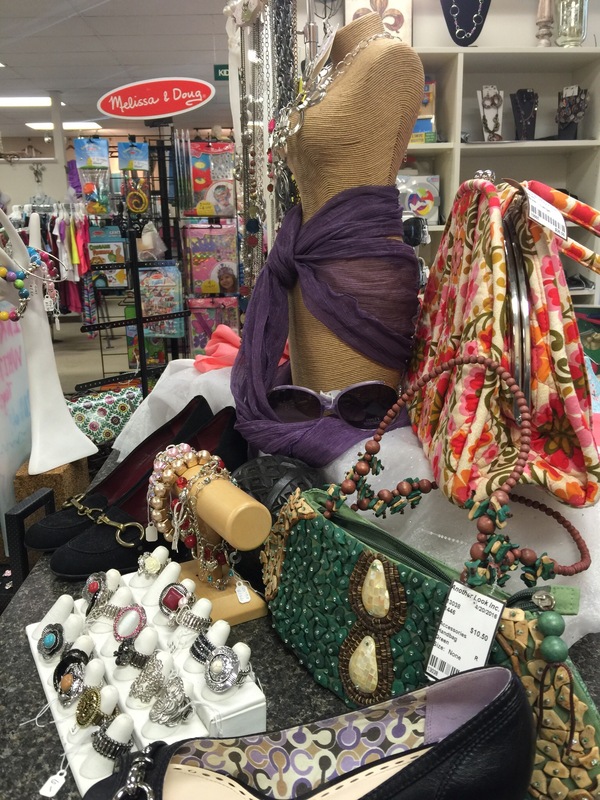 The next chance to win a $50 gift certificate is in the store! Win one chance for every $10 you spend between now and next Saturday, August 6th! 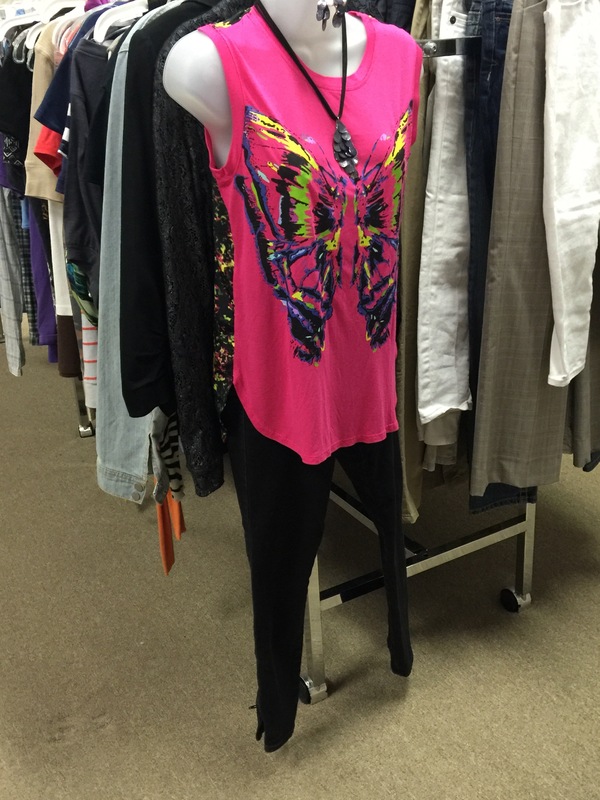 Don’t miss out on our great summer clearance sale, new fall arrivals, and next weekend’s tax free event! School shopping on a budget? SHOP NOW TO WIN $50! This is even easier than a contest! 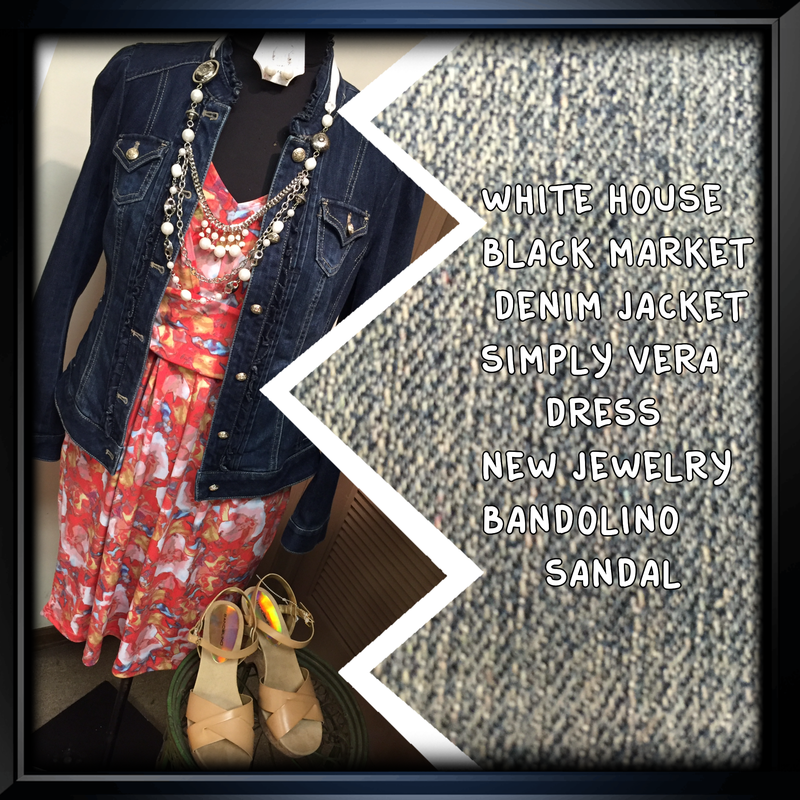 All you have to do is shop Another Look’s great selection of summer and new fall arrivals this week for an opportunity to win $50. One chance for every $10 you spend! And, Friday and Saturday it is all tax free! Don’t miss out! 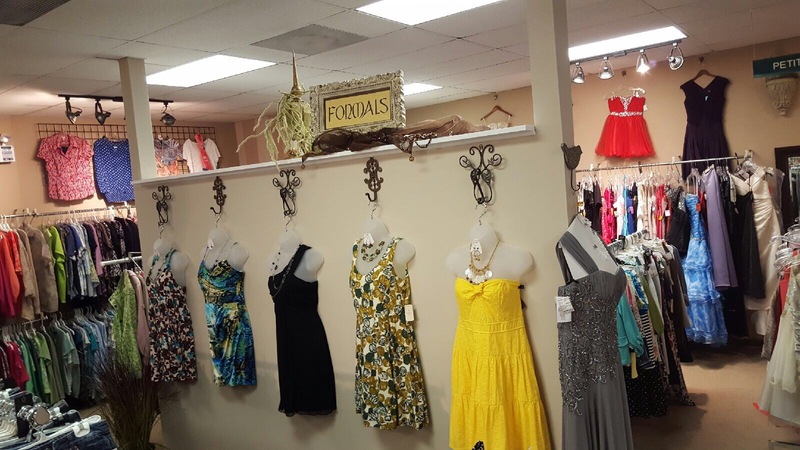 Whether vacation shopping, back to school shopping or shopping for the perfect homecoming dress, our selection and great prices are sure to please! Remember, RESALE is the REAL SALE!! Save even more at our tax free event August 5th & 6th! 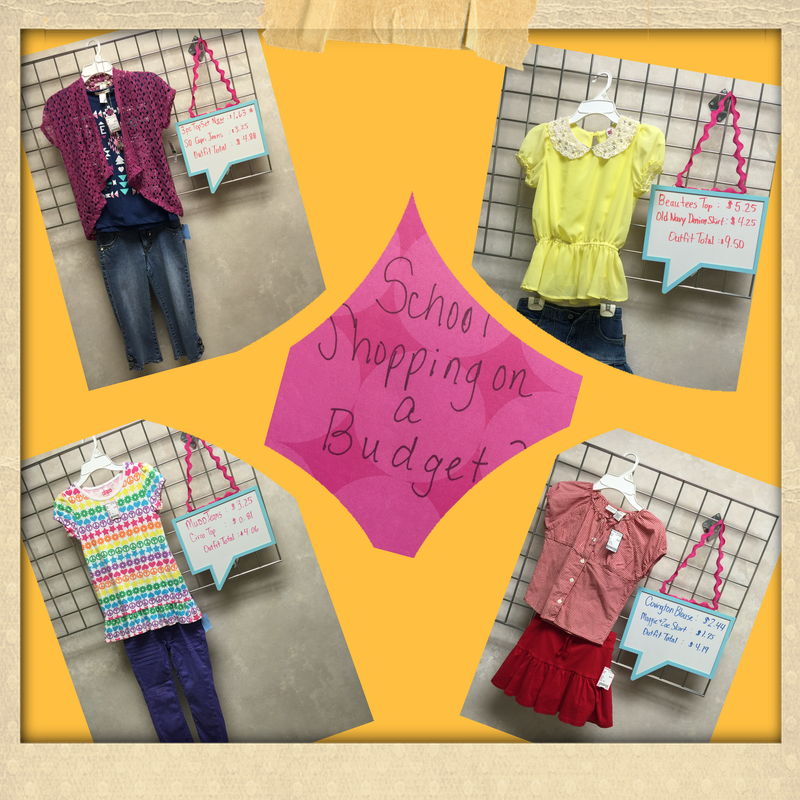 With our already low prices, you will surely feel proud when you walk away with 5 school outfits for the regular price of 1! You’ll never believe our awesome sale with most items discounted 25-75% off! Shop brands you and your kids love at prices that won’t break the bank! It’s another contest! 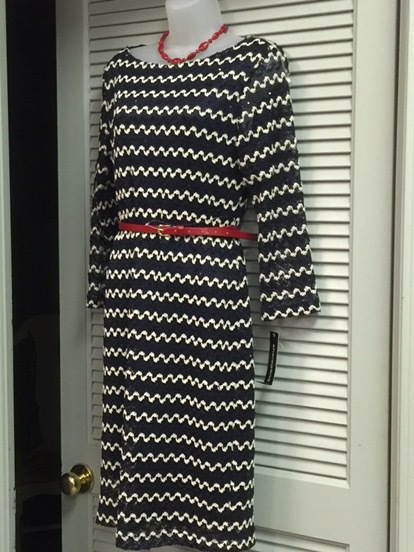 Try to guess Another Look’s total cost of this outfit (excluding tax) and you could win a $25 gift certificate! The closest guess wins. Only one entry per person please. Contest ends Saturday, July 30th. Winner will be announced Saturday night! Good Luck and Happy Guessing! Remember, our prices and selection of great brands are awesome. 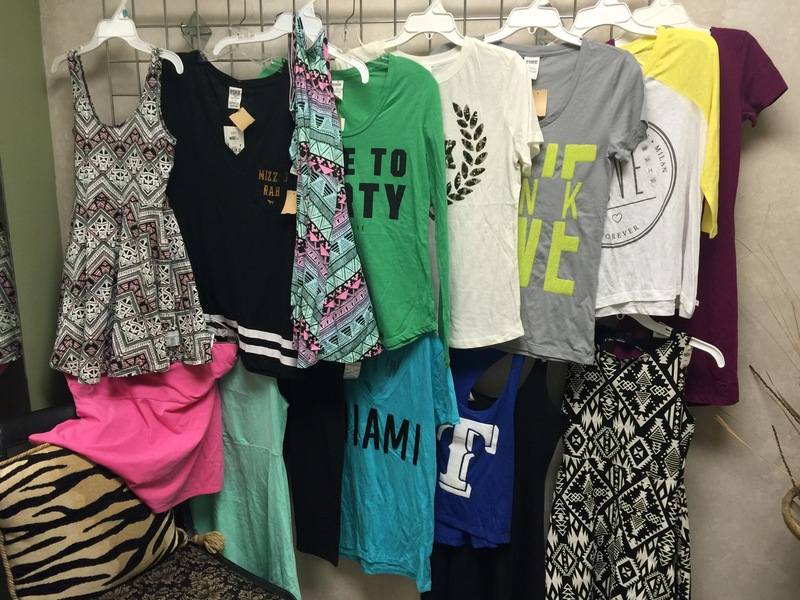 If you haven’t shopped us at all or in a while you are missing out! 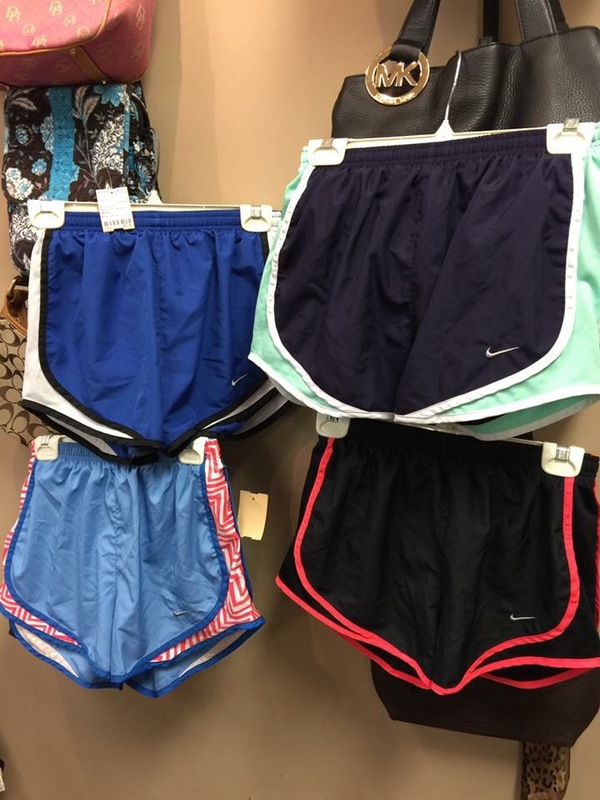 Visit us this week for BOGO half off shorts and 25% off bathing suits plus 25-75% off three tag colors! 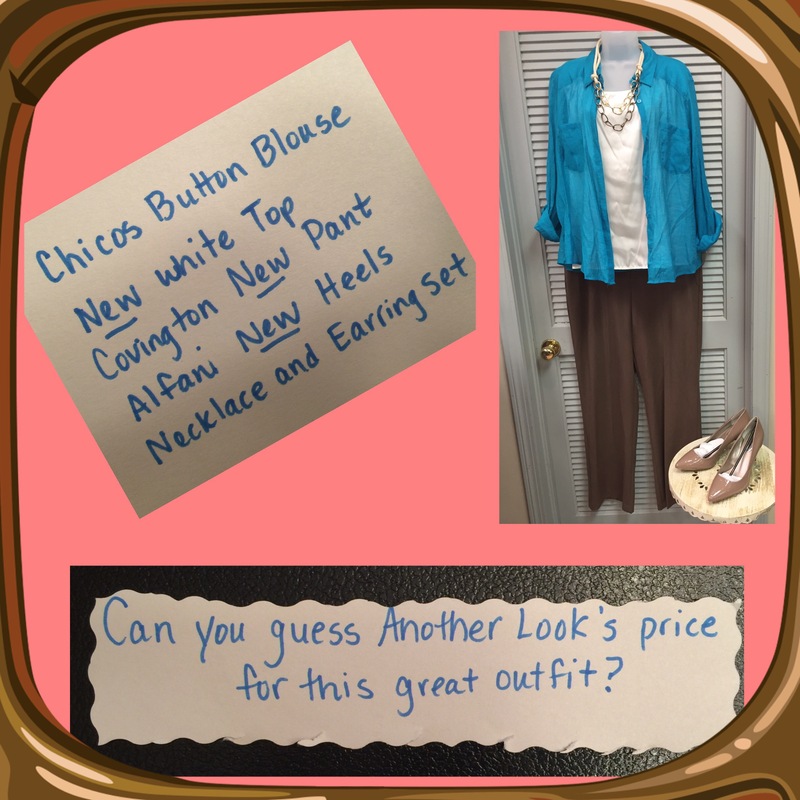 Can you guess the cost of this whole outfit from our store?? Be the closest guess and win a $25 gift certificate! Enter via email, on our Facebook page as a reply to the contest post or use our contact form on our website. Only one guess per person. Contest ends Saturday, July 23rd at 6pm. Winner will be announced Saturday night! Good luck! 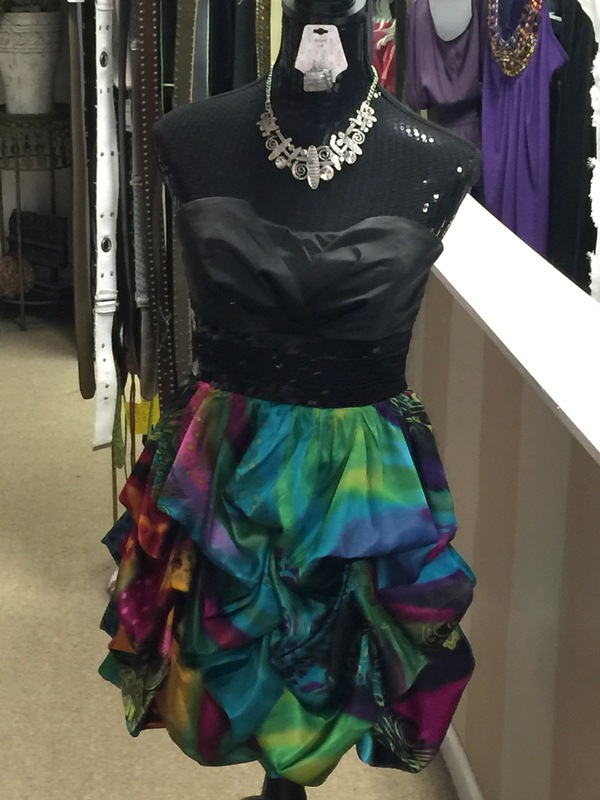 Only 3 more days for 25% off skirts and dresses! But, the savings doesn’t end there! 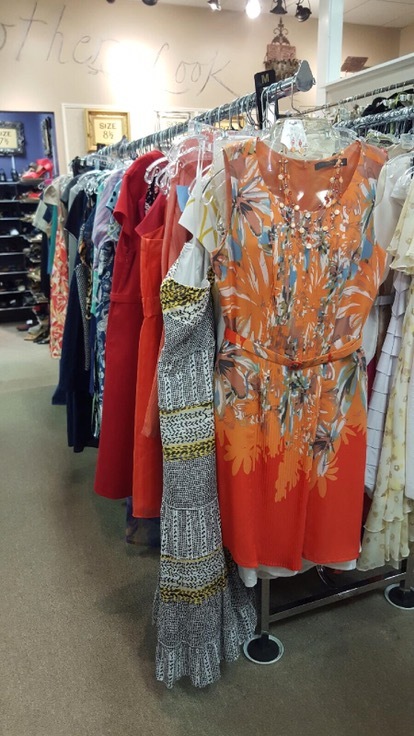 Our store is full of awesome summer attire priced to sell well below the regular retail price with thousands of items 20-75% off! Another Look has hidden treasures few people realize. 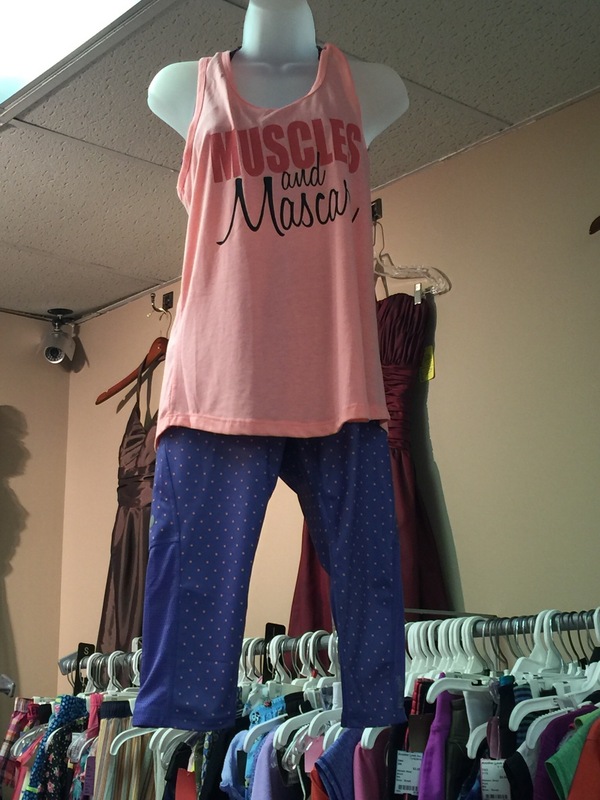 Have you seen our selection of athletic wear, sleepwear and maternity wear? How about our Chicos or PINK racks? 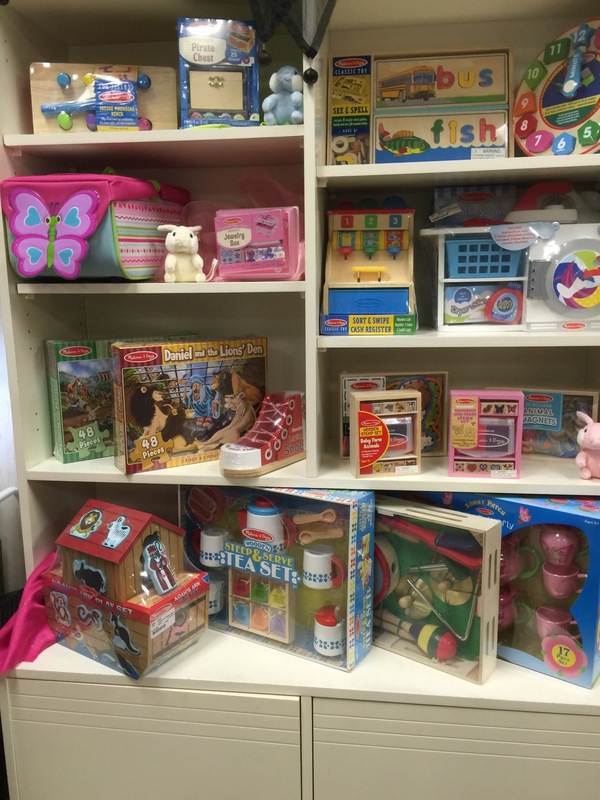 Stop in and check out our Toy Box for some summer boredom breakers. You’ll never believe our prices! Most items in the store under $10! 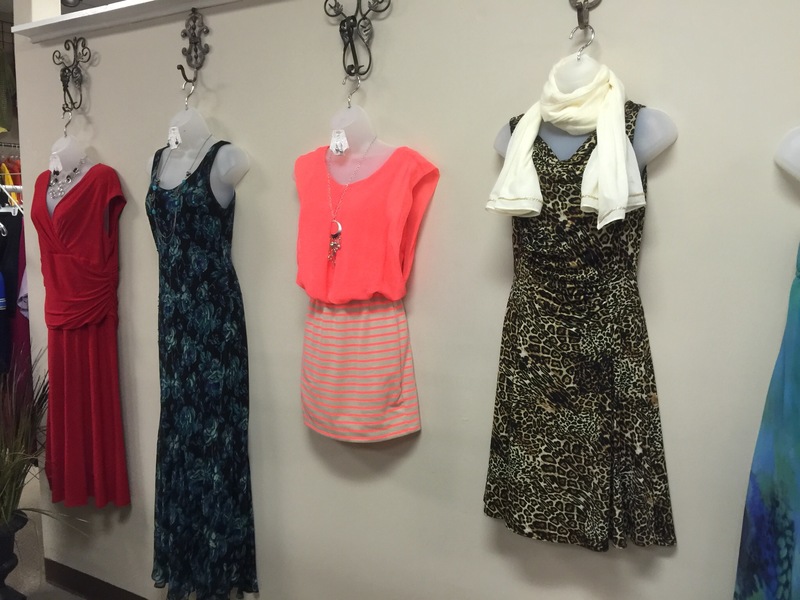 Dresses & Skirts 25% Off! 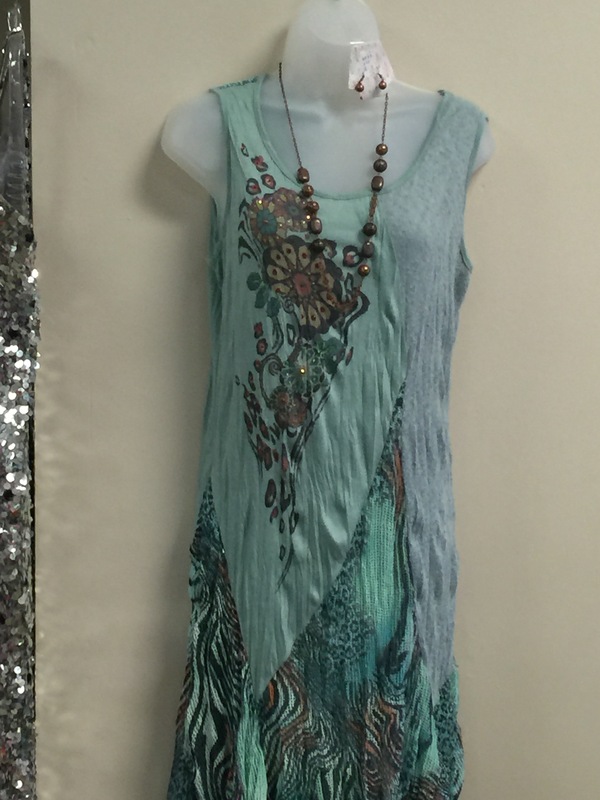 This week only, July 11-16, save at least 25% off on all casual dresses & skirts! 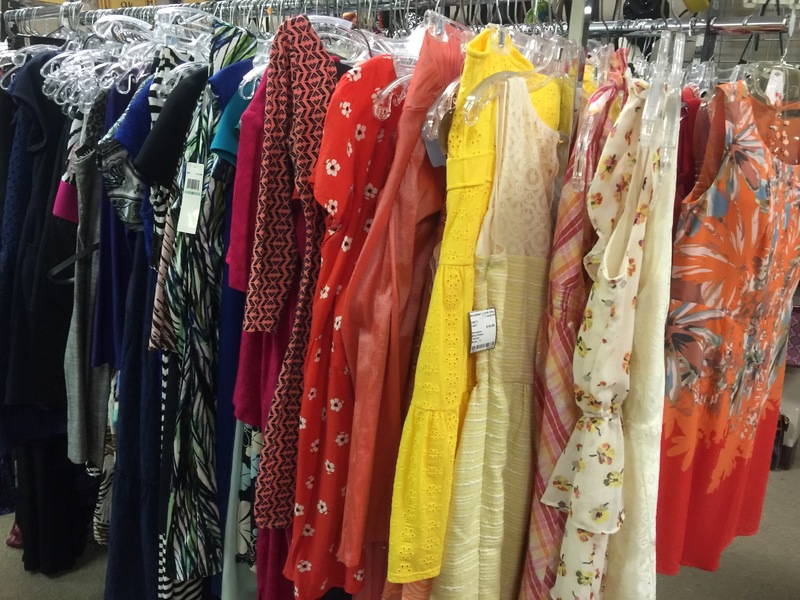 And don’t forget our tag color sale with savings up to 75% off storewide! 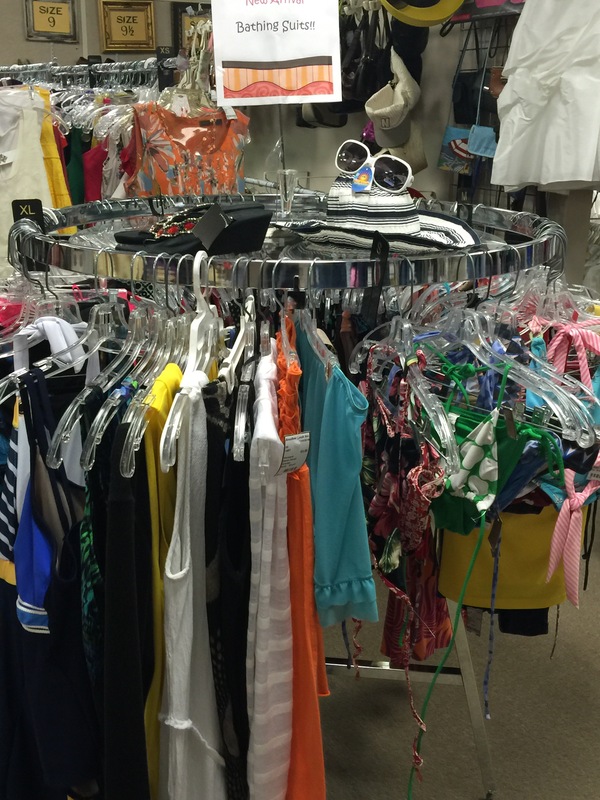 Our 25% off bathing suits & children’s clothing ends tomorrow! 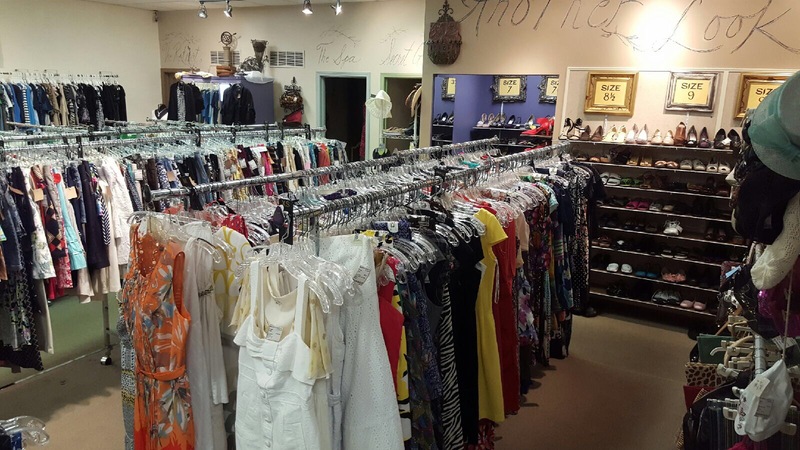 Remember we also have thousands of great summer pieces marked 20-75% off! Hurry in!